While digital technology has minimized the health risks of x-rays, it has not entirely eliminated it. 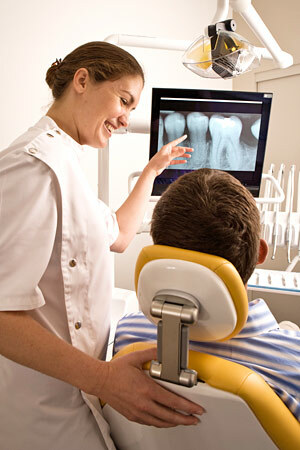 X-rays are a type of radiation used to penetrate the tissues of the body to create an image. In doing so, there is always a slight possibility of causing changes at the cellular level that might lead to future disease. Of course, there are sources of radiation present in the daily environment — the sun, for example — that can also cause disease. It's important to note that the chance of this happening is thought to be cumulative and not based on a single exposure. Still, x-rays are not considered risk-free regardless of how technology reduces your exposure. That's why dentists will only use them when the benefit of obtaining better diagnostic information outweighs the procedure's small risk. If you have questions about why an x-ray is being recommended for you, please feel free to ask.